One of the most common questions put to Eden Harper’s property sales professionals in both Brixton and Battersea is: What type of property condition report should I ask my surveyor to produce? This guide for anybody purchasing residential property in or around Brixton and Battersea examines the differences between a Condition Report, HomeBuyer Report and a Building Survey. The Consumer Rights Act 2015 is a powerful piece of legislation. If a service isn't provided ‘with reasonable care and skill’ or ‘as agreed’, the provider must bring it into line with what was agreed with the customer. If this isn't practical, such as when a haircut’s too short, they must give some money back. For goods and services bought online, your rights are the same as if you’d bought the product or service from a shop or other seller, except that your right to make a claim starts when you receive the item. Despite the average value of flats in Battersea now around £600,000, the Consumer Rights Act does not apply to house or flat purchases. Why? Legislation mostly gives protection for consumers buying goods and services from traders. Homes are not legally classed as goods and most properties are purchased directly from a private owner, who is not therefore a trader. This is why every home buyer is strongly advised to arrange a full inspection of their purchase before contracts are exchanged. But what type of property survey is right for you? It will depend on the age, condition and price of your prospective purchase. Before we examine the three most common types of reports produced by property surveyors, it is worth noting that the HomeOwners Alliance reports that only 20% of purchasers get a professional survey before buying a new home. 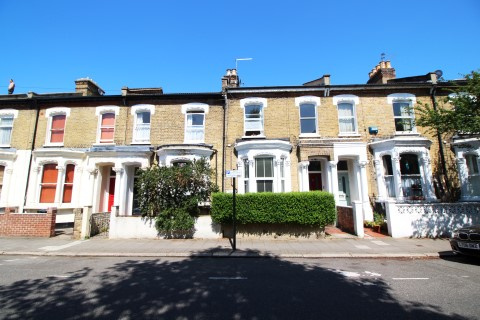 Instead, many homebuyers who use a mortgage to help fund their property purchase in Brixton and Battersea believe their lender’s standard valuation provides all the protection they need. While a mortgage valuation is designed to provide the lender with enough information to decide whether the property is safe to advance money on, it is only likely to uncover obvious, visible defects as part of a brief inspection. Unless you are purchasing a new-build home that comes with a 10-year warranty, property purchasers are better off commissioning a Condition Report, HomeBuyer Report or Building Survey. Designed to complement the mortgage valuation, a Condition Report provides traffic light-style indications as to the state of various parts of the property. Green means everything is OK, orange is some cause for concern and red means serious repairs are vital. This type of survey also provides buyers with a summary of risks to the building, but does not include any advice or a valuation. Previously been known as a Homebuyers Survey and Valuation (HSV), the HomeBuyer Report was introduced by the Royal Institution of Chartered Surveyors (RICS) in 2009. Typically cheaper than a Building Survey, a HomeBuyer Report is best suited for conventional homes that were built no more than 150 years ago and appear to be in reasonable condition. Although not as in-depth as a Building Survey, a HomeBuyer Report will bring to the attention of the prospective buyer any aspect of the property that may currently be causing a problem or is likely to require repair in the future. A Building Survey, on the other hand, is the most comprehensive survey available for residential homes and will provide a detailed evaluation of a property’s condition. Also known as a Structural Survey, a Building Survey is carried out by a chartered surveyor regulated by the RICS who will produce a report that describes the condition of each element of the property. The surveyor will actively search for any structural problems or defects. This means a Building Survey is best suited for purchasers of older homes that have either undergone renovation or are in need of major work. Unlike a HomeBuyer Report, Building Survey reports do not have a standard format, which means the surveyor can tailor the investigation to suit a property purchaser’s needs. However, the report will not include a valuation of the property or estimate the cost of rebuilding the property. Due to a Building Survey involving an in-depth investigation of a property’s condition, it can take up to a day to complete and the final report can take up to two weeks to receive. However, by digging much deeper into the current state of the property and its past history, a Building Survey can also uncover any structural problems with the property that would otherwise go unnoticed. "If you are still searching for your perfect property in Battersea or Brixton, get in touch with Eden Harper today. We opened our Battersea office in 2002 before expanding into Brixton in 2007. In that time, the sales professionals at Eden Harper have helped many hundreds of home buyers fulfil their property ambitions and are waiting for your call."